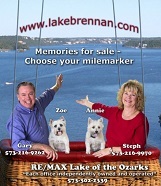 See what is happening in the real estate market is at Lake of the Ozarks. Click here to access your account or to register a new account. Lake of the Ozarks is the TOP destination in the US for Lake activities. Join us and see what everyone is talking about. Welcome to my website. Enjoy your time on the site and let me know if you have questions about any of the homes you see.